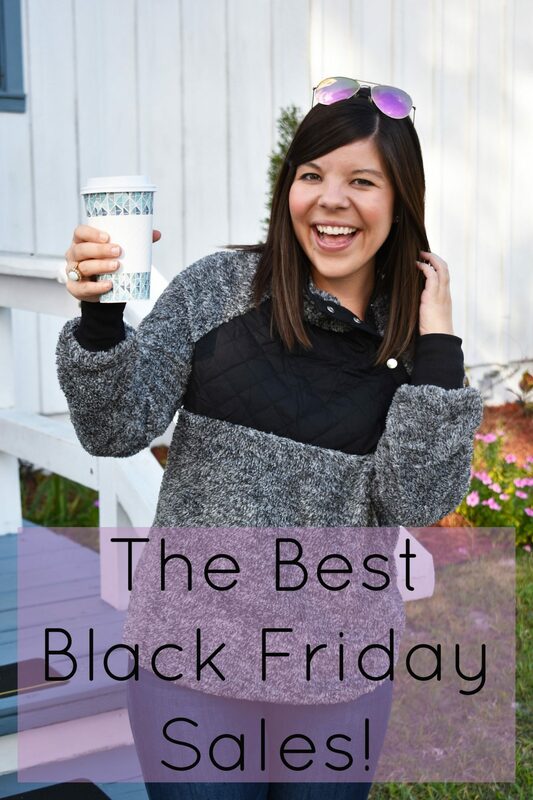 Rounding up all the best Black Friday sales & my favorite picks from each retailer today! Happy Black Friday y’all!! Today is the absolute best shopping day of the year and SO much fun for kick-starting your Christmas shopping (or let’s be real… shopping for yourself)!! I love that so many retailers rolled out their sales early this year, but a ton of the deals are getting even better today – so if you waited to shop you’re in luck. I’m not going to chat too long… we’ve got shopping to do friends! 🙂 I’ve listed all the sales below along with my top picks- happy sale shopping! Nordstrom– my favorite retailer is having an INSANE sale of up to 60% off sale items!! I have scored so many cute pieces for under $20! I’m linking everything I ordered + a few more favorites below! Oh I love that pullover and I’m heading to Amazon now ! I agree Gentry, this is one of the best shopping days ever ! Have a fabulous day ! Such a great roundup of gifts — I’ve been meaning to buy a Barrington Bag, but now might be the time to do it! Yea girl! I am more than obsessed with mine!